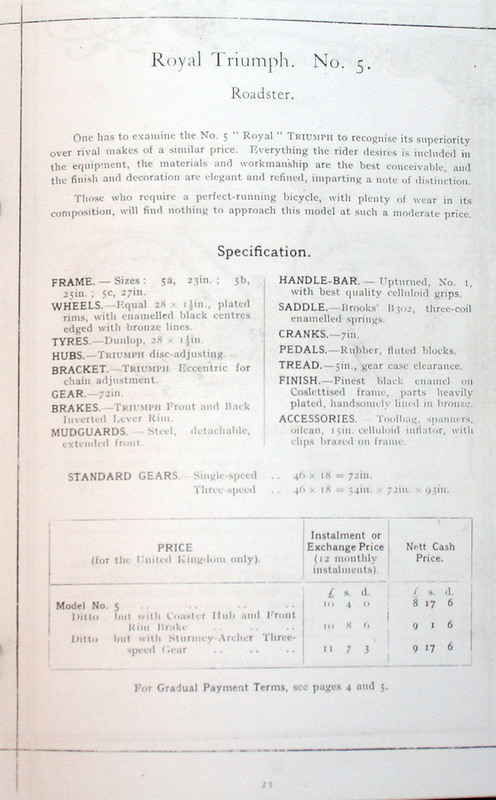 I came a cross your site whilst searching for info on old bicycles. I was wondering what type of bicycle my Great Grandfather is pictured with on the attached photograph and from what year this model is. He was born in 1866 and returned to Glasgow, Scotland from USA in the early 1890s. Unfortunately, I haven’t got the bicycle as it looks a tidy piece of kit. 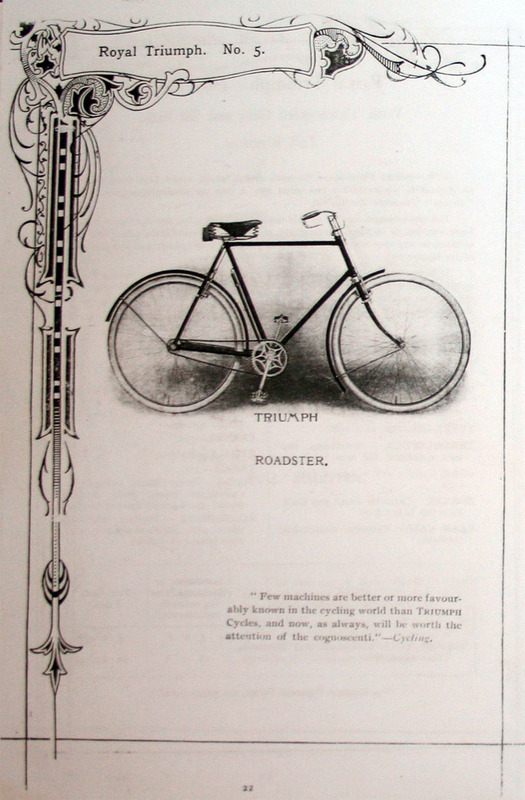 Some aspects of the bicycle look similar to the pictures of the 1908 First Grade Raleigh Model No 4. So I am guessing that it might be a Raleigh but slightly later date. Does this bicycle have the sturmey archer 3 speed hub that is mentioned on the site? 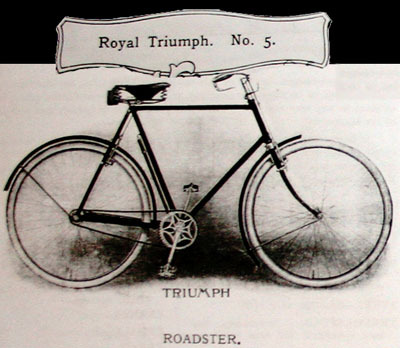 I was happy to have been able to identify Mike’s great grandfather’s bicycle as a Triumph.